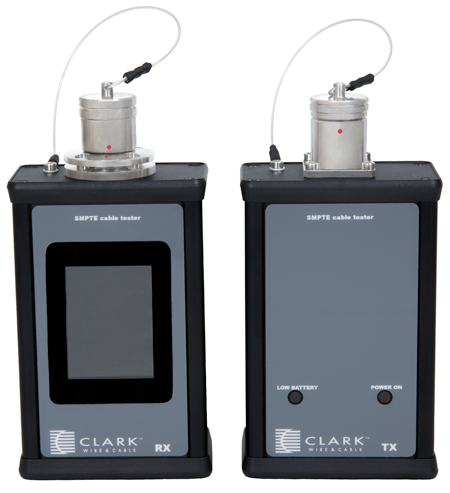 The Clark CWT-SMPTE is a two-piece test set designed specifically for testing both the fiber and copper elements of a terminated SMPTE 304/311 camera cable assembly. The fiber elements are tested for power loss and displayed in dB loss, while the copper elements are tested for multiple combinations of opens and shorts. Measurement are displayed on color touch screen display for easy viewing and operation.